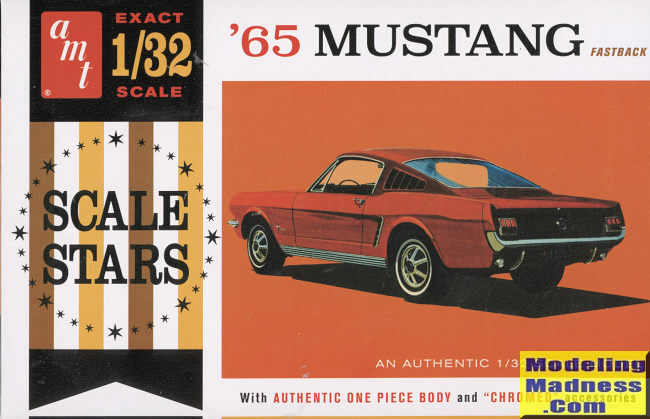 The Mustang was originally based on the platform of the second generation North American Ford Falcon, a compact car. The original 1962 Ford Mustang I two-seater concept car had evolved into the 1963 Mustang II four-seater concept car which Ford used to pretest how the public would take interest in the first production Mustang. The 1963 Mustang II concept car was designed with a variation of the production model's front and rear ends with a roof that was 2.7 inches shorter.Introduced early on April 17, 1964 (16 days after the Plymouth Barracuda), and thus dubbed as a "1964½" by Mustang fans, the 1965 Mustang was the automaker's most successful launch since the Model A. The Mustang has undergone several transformations to its current sixth generation. The Mustang created the "pony car" class of American muscle cars, affordable sporty coupes with long hoods and short rear decks, and gave rise to competitors such as the Chevrolet Camaro, Pontiac Firebird, AMC Javelin, Chrysler's revamped Plymouth Barracuda, and the second generation Dodge Challenger. The Mustang is also credited for inspiring the designs of coupés such as the Toyota Celicaand Ford Capri, which were imported to the United States. Thanks to a raffle win at the recent IPMS Gateway show, we can have a look at this rather old kit. According to Scalemates, this kit was issued in 1965, once again in 1967 and this one in 2017. It includes a foldout of Round 2 kits from 2016. The molding is actually in quite good shape and it is a very simple kit. The tires for this are plastic and there is a nicely done chrome sprue. I have included a scan of the one sheet instructions as it shows all the pieces. As you can see, the interior tub only has two seats, a steering wheel and instrument panel. No decals for the instruments. All the windows are on one piece and held in place by the interior. A single piece chassis has detail molded into it and the wheels simply snap onto the small stub axles. Then it is simply a matter of adding the lights, bumpers, grill and hub caps and you are done. 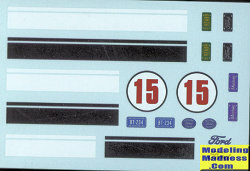 Instructions provide generic color information and while a decal sheet is included, there are no placement instructions. It has two racing numbers, some logos as well as black and white stripes and some license plates. Not something that will take a long time, One can easily paint this with spray cans and the end result will be a nice, if rather basic model. This sort of thing would be perfect for a new modeler who has graduated from snap kits. 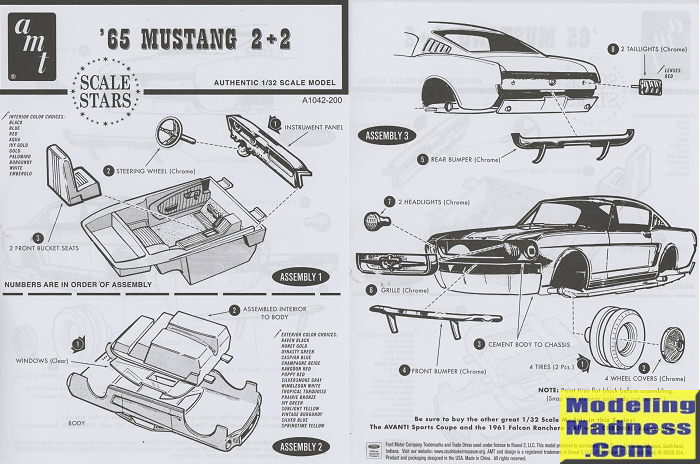 I like it as it may well provide some replacement parts for a Revell Mustang slot car that I have. At least I hope so.